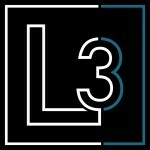 THE L3’S OPEN HOUSE’S THIS WEEKEND IN COSTA MESA 5/4, 5/5, & 5/6 ! THE L3’S OPEN HOUSE’S THIS WEEKEND IN COSTA MESA 5/12 & 5/13 ! Whenever a sign announces “The Home of the Future”—whether it’s in front of an exhibit at a science museum, a ride at Disneyland, or an exposition at some World’s Fair—it’s sure to draw a crowd. Of course! What Costa Mesa homeowner wouldn’t be willing to fantasize about a future with housekeeping robots, self-cooking meals, houses with walls that change color whenever you want, etc.? For a couple of reasons, Costa Mesa homeowners have learned to take such imaginative projections with several grains of salt. For one, many predictions have proved unrealistic. The flying cars that have been promised for a century haven’t yet taken wing—nor are they likely to be in showrooms anytime soon. For another, when Home of the Future features like giant screen TVs do become reality, the glamor attached to them fades quickly. Color TV? Music by just asking for it from a box named Google or Alexa? No earthshaking Big Deal! Still, Costa Mesa homeowners can’t be faulted if they keep at least one wary eye on technological advances. It’s clear that the pace of technology keeps accelerating. That makes the possible impacts on lifestyles of the future ever more likely—probably in ways we aren’t even imagining today. Such impacts could make some of today’s homes more or less desirable. If the advent of the automobile created the suburban communities of today, who knows what inventions might shift living patterns in the future? The reassuring news for today’s Costa Mesa homeowners is that for the moment, the kind of major innovations that might affect future property values don’t aren’t even on the horizon. At this year’s Consumer Electronics Show in Las Vegas, most of the innovations consisted of short steps along the same path we’ve been hearing about for a while now—internet-connected appliances, artificially intelligent voice-activated assistants, and screens attached to most everything. Refrigerators with touch screens, smart dishwashers with touch screens, and ovens that connect with barcode scanners to set proper cooking times and temperatures might be incremental conveniences—but hardly earthshaking Big Deals. Still, this could be a momentary lull. Kitchens are currently the hub for most Costa Mesa families. If strides in artificial intelligence and ever-more-powerful microprocessors succeed in transforming traditional food preparation activity in any meaningful way, that’s one possible advance that could conceivably affect future lifestyles—as well as typical floorplans. For the moment though, the typical Costa Mesa Home of the Future looks to remain pretty similar to those you find here in the Costa Mesa listings. Call L3 if you’d like to take a closer look!